Whether you decide to stop for a couple of hours or for a few days, we offer you a pause in time in our little heavenly spot. The Hotel and the Restaurant are recommended by the "Guide du Routard", the "Petit Futé", the "Guide Hubert", the "Rough Guide" and are part of the "Hotels de Charme et de Caractere" Midi Pyrenees. 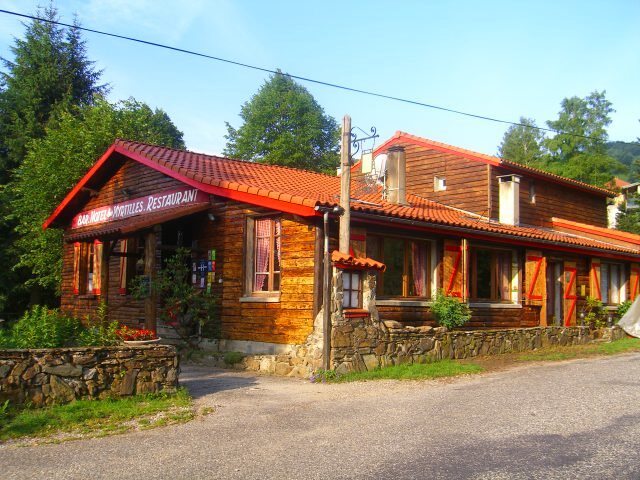 Our very charming and cosy Auberge is located in the midst of a fir forest, at an altitude of 1000 metres. 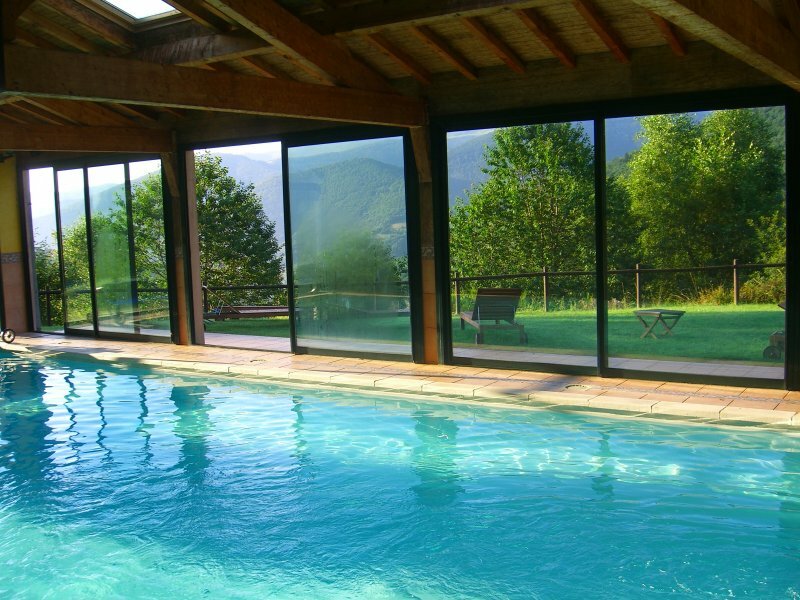 In the heart of the “Vallée Verte” (Green Valley), the hotel is only a few kilometres from Foix, in the Pyrenees. At the hotel, rooms are located into different wooden mountain type chalets, all in a very green setting. After a walk starting from the Auberge, a ride on horse, or even after having found a basket of mushrooms, you will have the possibility to enjoy the hotel swimming pool, sauna or jacuzzi. At the restaurant, you will make yourselves comfortable on our shaded terrace with a wonderful view on the Pyrenees, or maybe you will go for a nice moment by the fireside. There you will be able to taste our Savoyard and Ariège specialties. Caroline and Grégoire will be your hosts in this family and warm atmosphere, and will transform your holidays into an unforgettable stay. We are 1h15 drive from Toulouse, 1h15 from Carcassonne and 2h from Andorra.